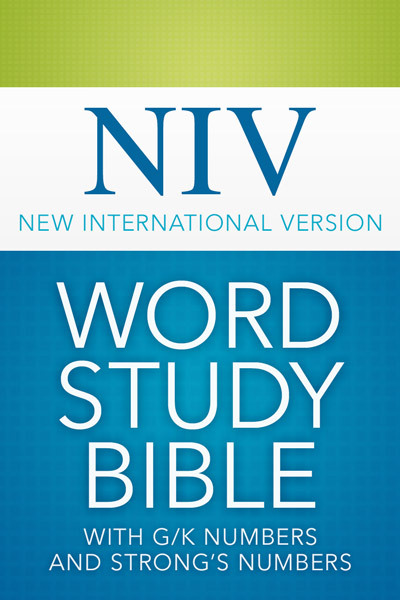 The NIV Word Study Bible provides a complete index of every appearance of every word in the NIV Bible; it's a must-own for every reader of the NIV Bible. Based on John R. Kohlenberger's III groundbreaking work done in the third edition of the NIV Exhaustive Bible Concordance, the NIV Word Study Bible is more accurate and comprehensive than online searches and offers complete access to the Hebrew, Aramaic, and Greek from which the NIV was translated, this resource promises to make your Bible study the very best. Olive Tree's Bible App makes Goodrick-Kohlenberger (G/K) Key numbers & Strong's numbers easy and powerful. Tap on a word in the text and open the related dictionary information in a new screen, split screen, or pop-up window, depending on your device and settings. Upgrade Pricing Available! If you've previously purchased a qualifying item, like the NIV Bible, you can purchase this item for a special upgrade price. The upgrade price will be visible when you log in to your Olive Tree account and add the item to your cart (NOTE: Upgrade pricing is only available on www.olivetree.com, and not via in-app purchase).